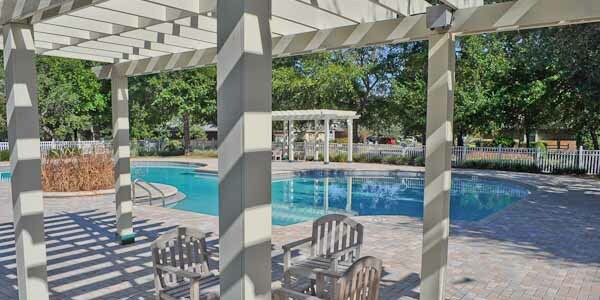 Home buyers find Herons Forest such a desirable Pensacola subdivision because the landscaping is lush and well attended, the houses are well-built, and this community is gated. 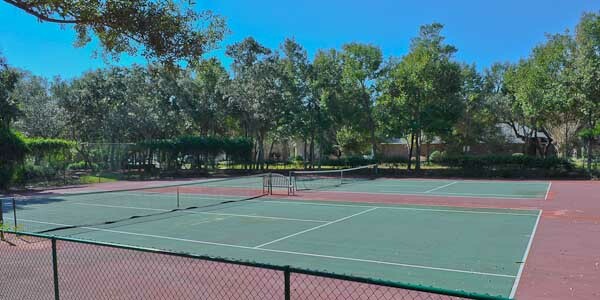 Amenities like a nicely landscaped community pool and deck area surrounded by mature shade trees that are adjacent to two maintained tennis courts are a definite plus. Many buyers also seek the peace and quiet, added privacy, and security this gated access provides residents. 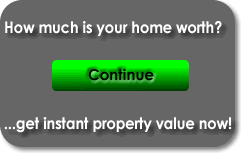 The number of homes for sale here is limited, and when available, they sell quickly. These SW Pensacola homes are adjacent to the west gate of the Pensacola Naval Air Station (NAS) and only six miles from the beach at Perdido Key. At the south end of Herons Forest is a nature preserve with a quarter-mile trail that leads from the subdivision to the sandy beach at Big Lagoon and to a nature boardwalk that is three-quarters of a mile long. Two large department stores, Walmart, and Target are two miles north on Blue Angel Parkway. There are additional restaurants, and stores such as Trigger's Seafood Restaurant, Mojo's, Publix, CVS, and Winn-Dixie that are four miles west on Gulf Beach Hwy. Home construction took place at the Herons Forest during a ten-year period between 1998 and 2007. Only a total of 180 houses were constructed here making this small gated community very attractive. Today, property prices range from $200,000 to $600,000. The average sale price of these homes is $300,000. The proximity of this subdivision to the Naval Base also makes this community a hit with military families. If you are interested is seeing one of the homes that is for sale here, just call and a real estate agent will make the arrangements for a tour.